Backoffice Associate Jobs in Integreon | Walkin Drive From 10th – 12th May 2017. Integreon is conducting walkin Drive from 10th – 12th May 2017 for Graduate students. Interested aspirants can attend the latest Jobs Openings in Mumbai. Integreon has mentioned that candidates should have Good technical skills in PowerPoint, Word, Excel. Candidates who want to get placed in Integreon can refer Integreon Test Pattern and Integreon Model Papers which will help you to get clarity about the written exam. Aspirants should have good technical skills in PowerPoint, Word, Excel. Competition for these jobs is going sky high so we insist the candidates to work hard and Practice well for the Integreon Recruitment 2017. Candidates who are interested and eligible can apply for Latest Walkin and for further details you can visit the official website. High level of positive attitude. Good technical skills in PowerPoint, Word, Excel. Candidate should be ok with rotational shifts (including night shifts). 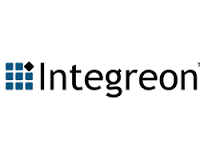 Integreon Managed Solutions India Pvt Ltd is the largest and highest impact provider of integrated legal, research, discovery, and business solutions to the professionals. Integreon work collaboratively with the clients to address their specific needs in areas such as e-discovery, market, legal process outsourcing and competitive intelligence. Integreon Job openings for graduate students in Mumbai from 10th – 12th May 2017. Candidates can check the venue details which are mentioned below and can directly attend at the below mentioned venue. All India Jobs is a place where you can get job details that are available throughout the country. Aspirants can keep visiting our site Freshers Jobs to know more information regarding Job updates and bookmark this page for further reference.